March 5 and 6 saw 93 kayak anglers from New South Wales, the Australian Capital Territory, Victoria and South Australia hit the legendary fishing town of Mallacoota in Victoria’s East for what was to be an exceptional weekend’s fishing. The Mortgage Corp, Round 3, of the Hobie Kayak Bream Series delivered the goods. A massive 134 full bags of three bream. A total of 458 fish with a combined weight of 307.42kg were brought to the scales over the weekend. While anglers were looking for the round win, they were also chasing a spot in the Australian Championship as well as qualifying points towards the 6th Hobie Fishing World Championship to be held later this year and another, yet to be announced international event. On both days, anglers headed off from the Power-Pole Start Line, splitting up with half the field heading for Top Lake & The Narrows and the other half opting for Bottom Lake and the flats leading to it. 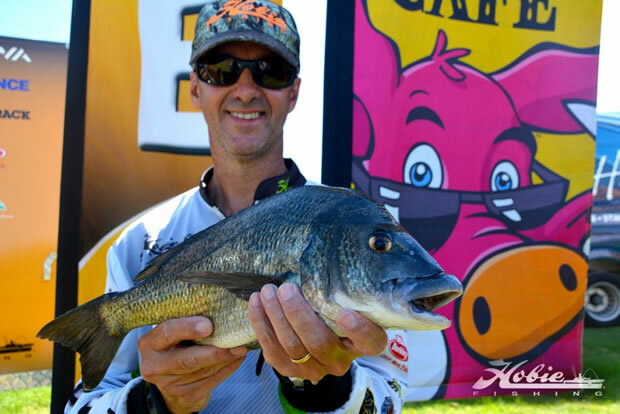 On Day 1, Tony Pettie from Traralgon in Victoria sat at the top of the Lowrance Leaderboard with a solid 3 bream bag weighing 3.01kg, as well as, leading the Boss Hog that weighed 1.15kg. At the close of weigh in, there was less than 500g separating the top 13 and only 750g separating the top 20. Coming in to day two it was still anyone’s prize for the taking. Ultimately it was Carl Dubois from Sydney who scooped the top prize with 6 Bream for a total weight of 5.47kg. Tony Pettie held on to second place with 6 for 5.44kg and third place went to Josh Kilmas from Victoria with 6 for 5.20kg. Dubois pushed through from second place on day one to take the title, scoring himself a sponsors prize pack, a $2,590.00 pay cheque and 100 points towards qualifying for the 6th Hobie Fishing World Championships for his weekend’s work. 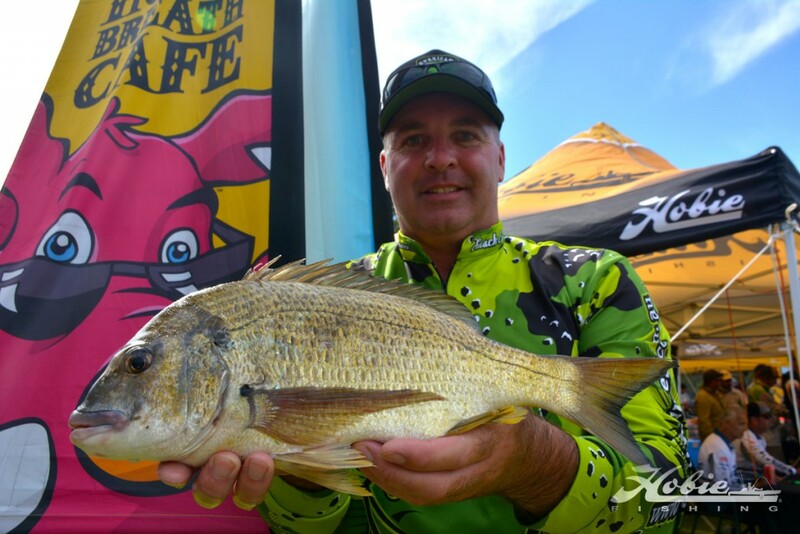 Dubois also took out the Hog’s Breath Cafe, Boss Hog Big Bream award with his 1.20kg bag kicker on day two, adding another $100.00 to his prize tally. It was Neck and Neck but Dubois Came Out on Top. Line: Braid – Gosen PE 9lb. Rod and reel: Gladiator Psyborg matched to a Psyborg 2000 reel. 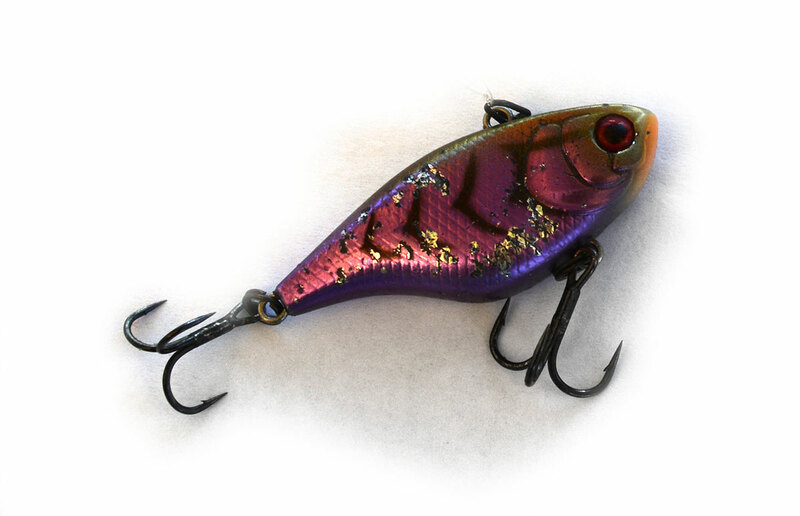 Lure/s:Gladiator Shiver Vibe in purple and black, Jackal Chubby Vibe in Purple and Black & Evergreen Tiny Predator. The winner of last year’s Mallacoota round, Tony Pettie came extremely close to a repeat performance for 2016 and took it all the way to the wire following up his impressive day one bag of 3.01kg with another 2.44 kg on day two that eventually landed him in second place. Tony had a great weekend on the water from pre-fish through to the final results. Round winner, Carl Dubois pigged out and weighed in the tournament’s biggest fish, a 1.20kg bream, taking another $100.00 home for his efforts with the Hog’s Breath Cafe Boss Hog Big Bream cheque. He caught the Boss Hog on day 2 of the tournament using a Jackal Chubby Vibe in Purple and Black. This year, Hobie has introduced divisions to the series as an exciting way to encourage new anglers to try their hand at tournament kayak fishing. All anglers compete in the general open category but there are also Youth (16-21), Women’s, Masters (60-64) and Grand Masters (65+) divisions which provide another layer of incentive to anglers. Division winners take home sponsor prize packs. Stephen Pryke from Victoria took out the Youth Division with 6 for 4.45kg. Tracey Wright from New South Wales landed the Women’s Division with a 3.08kg bag. Masters Division winner Gary Hanson from Victoria scooped the top spot in his class with 6 for 4.35 and the Grand Masters Division went to long time competitor Brian Rutledge from New South Wales who landed the biggest bag on day two and third biggest bag of the competition with 2.84kg giving him a total weight of 4.42kg for 6 bream. The Mortgage Corp Monster Mover for Round 3 went to Alan Osbourne who improved his day one score by 1.8kg and took home a Mortgage Corp picnic pack for his efforts. Like all of the events in the Hobie Kayak Fishing Series, this round could not have gone ahead without the great support of our generous sponsors Daiwa, Berkley, Atomic, Lowrance, Rhino-Rack, Strike Pro, TT Lures, Yamatoyo, Ecogear, Power-Pole, Mortgage Corp , Hog’s Breath Cafe and ABT. Thanks also to Leaf and Vicki from Compleat Angler in Merimbula for providing Hobie dealer support.